As we have discussed in the previous topic, myApps gives access to various apps which provide the functionalities needed. When it comes to editing users, this is the UsersAdmin app. screen, so it is accessed easily. Unfortunately, the data presented for the user details is a bit too large to be shown in the client. Of course, you could resize the client so there is more space. However, there is a more convenient solution if you are using the native client. One of the benefits brought by the native myApps client (also known as launcher) is the ability to run Apps in a separate window, detached from the client. This only works when running the native myApps client and is indicated by a symbol in the clients header line. So let us see which properties of a user we have in UsersAdmin. As you can see in the user details, the Install has not configured an extension for the first user. Also, it was too lazy to set First Name and Last Name. So let us fix this as an exercise. 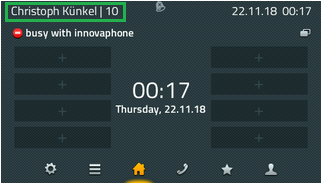 In this step, we will add a phone for the user (this is why we assigned an extension to the user in the previous step). We will look at the first option first. 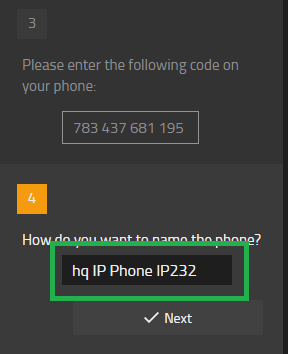 In the user's settings/profile, there is a list of phones the user can use, labeled as My phones. what is in there for yourself. At this time, we need to have the phone we intend to use in our hands. It needs to be attached to the network. As we want to associate the phone with a new user, we should clear all existing data on it. This is known as doing a factory reset. You may recall having done this in a previous lesson. to to refresh your memory. 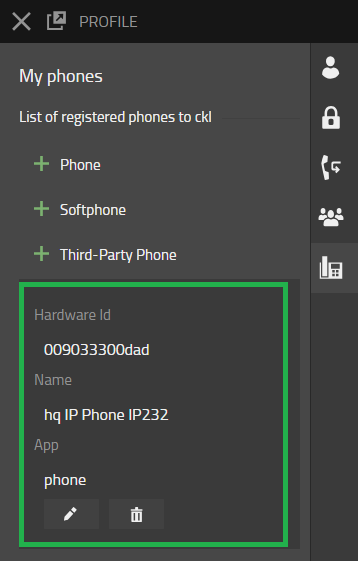 However, here in the course, the phone is probably still in factory defaults state, so you see the provisioning code dialogue displayed on the phone. If not, you need to factory reset your IP232 now. If you do so, moodle will load a start configuration on your phone (which does some changes to the phone, for example set the language to English so it matches the screenshots in this course). After a while (and a re-boot), the phone will show the provisioning dialogue . Also, your devices page will show that the phone is online with moodle and has fully loaded the start configuration . 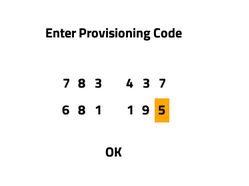 So if you have to reset your IP232, please wait until this state is reached. 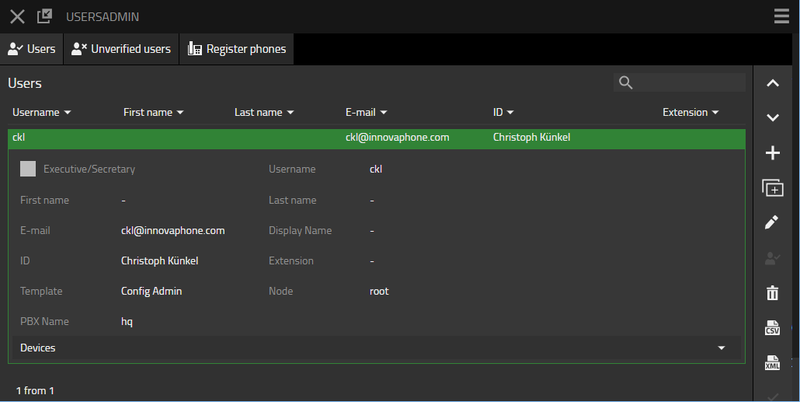 As a result of all this, the phone now shows your name and extension, so it is registered to the PBX. That is exactly what we wanted to accomplish! Of course, not all users may have IP phones, some may also use FXS (a.k.a. analogue phones). So how can we assign an analogue port to a specific user for use with a phone? Currently, your analogue phone is connected to TEL1 of your IP411RIGHT which is not part of your PBX system. When you go off-hook on the phone, you will hear a normal dial tone. When you now move the phone to the IP411LEFT's TEL1 interface and listen to the dial tone again, you will hear that it differs. What you hear is the special provisioning tone. 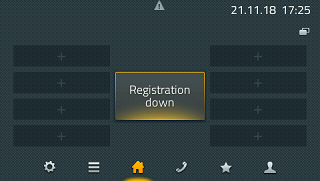 It indicates that the interface where the phone is connected to is not yet configured and therefore ready to be provisioned. Phone rollout is an easy thing to do for the administrator using the method shown in the previous chapter - as he does not have to do anything at all, the user does it himself. Unfortunately, it requires your users to understand how this works and therefore, in real life, the administrator will often have to do it himself. We will look at how to do this in a moment. However, we first need to create some more users we can assign phones to. So let's see how to do this. So far we have assigned a phone to a single user and this user was created by the Install process. If we want to assign phones to more users, we first need to create new users. In this course, we will cover the first 2 options. As we are going now to create users in the UsersAdmin App it's now time to have a a little more detailed look at it. We already had a look at the Users area when we updated our own user record. Before it comes to adding individual users, we should have a look at the settings for the App. These can be reached by clicking on the burger menu on the upper right. Obviously, the interesting settings when it comes to creating users are those found in the Default Settings - new Users. Fortunately, the Install already has set them to reasonable values, so we do not need to change anything here for now. However, do you remember the E-Mail settings and how they were important for the two-factor authentication when users log-in to myApps? When we create new users in the PBX and they shall be able to log-in, they need distinct E-Mail addresses and also a mail server that is able to send E-Mail to them. As you probably will not be able to create E-Mail accounts for the users we will create in your own E-Mail system, you will now need to change the E-Mail server used by the PBX to the one we prepared for you. Of course, if you already have chosen these values during the Install, you don't need to change anything. Otherwise, change the values. in the user details of your user record in UsersAdmin to invalid member reference '.longuser' in 'longuser'@class.local. Once you have done both, the PBX again can send E-Mail to you and all the users we will create later on. 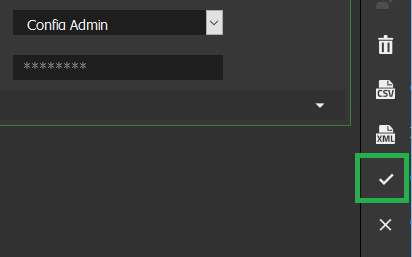 UsersAdmin's mission is to administrate users, so you can of course also add new users. 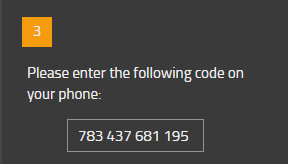 For this, you click on the + sign in the list of all users. You will see an Add User dialogue you need to fill in for the new user. For some of the values, UsersAdmin has already set some reasonable defaults . They are defined in the Default settings - New Users which we have seen before. You need to fill in all the fields to create the user. 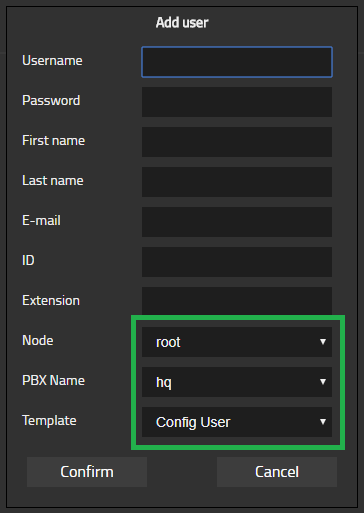 Some of them have uniqueness constraints: Username, E.mail, ID and Extension need to be unique in your PBX. Let us look at the Template value that was filled in as a default : Config User is used. You might have observed that in your own user record, the template is Config Admin. Both templates were created by the Install and the difference between Config Admin and Config User is that the first one gives access to all the administration Apps. Templates are used to define a number of configuration items for a user and the phone that is used by the user. We will discuss templates in more detail later. 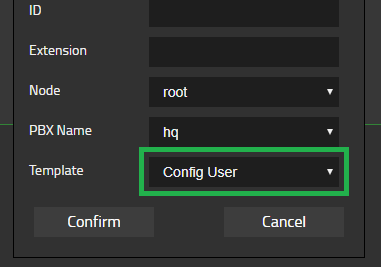 For now, it is good enough to know that Config Admin is for administrators and Config User for normal users. A slight variation of adding a user is cloning a user. This is done by selecting a reference user in the list of all users and then clicking the duplication symbol in the list of all users. This basically is a "create a new user similar to this one" function. Creating a huge number of users (for example, during the initial installation) is painful of course. This is why you can also import users from a file. For this, you have the XML and CSV icons on the right side of UserAdmin's user list. They allow you to im- and export users both in XML and CSV format. We'll use the CSV import function to create another user. For this, moodle has a little CSV file with a fourth user prepared. Please download this file to your PC. Then click on the CSV symbol on the right and on Import to upload the file. Your user list should look something like this now. Do you see the issue with the imported user? Right, you need to fix the user's email address so that it matches your training situation (invalid member reference '.name' in 'name')! You won't need the remainder of this page during the course. It might be interesting though once you use the import in real-life. The CSV import file expects a semicolon ; as field separator. The column/field association can be controlled by a special header line that starts with an ampersand &. In such a line, each column contains a designator which defines the field that the subsequent column values are assigned to. When importing users, the &h323 field (which is what is called Username in UsersAdmin) is used as the key. In other words, if you import a line with a Username that already exists, then the user data is replaced by the imported data. The grp/ and device/ columns are a bit special as a single user may receive mutliple values for them. If this is required, you need to repeat the row for the user with identical column values except for the grp/ and device/ columns. These columns add up. would create ddu with 2 groups and 2 devices. 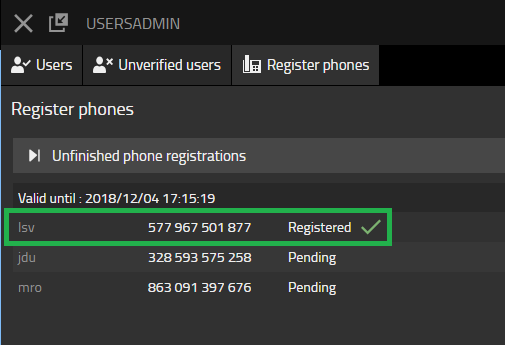 Now that we have some more users, we can see how to do an administrator-initiated rollout of phones. Just like the user himself can associate a phone to his own user record, the administrator can associate phones to a number of users. 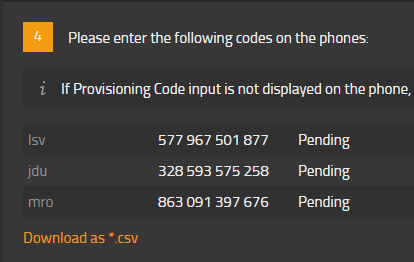 The users will still need to type in the provisioning code in to the phone UI. However, they do not need to start myApps and initiate the process. They simply have to plug in the phone to the network, look up their own provisioning code in a document provided by the administrator and type it in to their phone. Of course, the administrator can do the whole process himself. 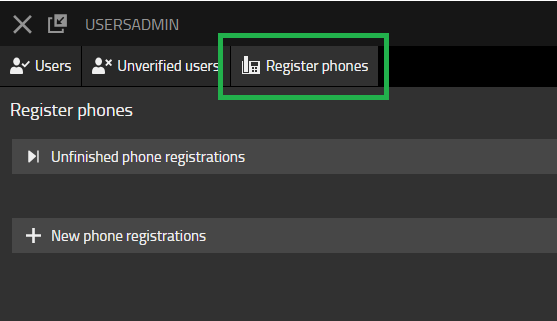 To initiate such a process, the administrator uses the Register phones tab in the UsersAdmin App. 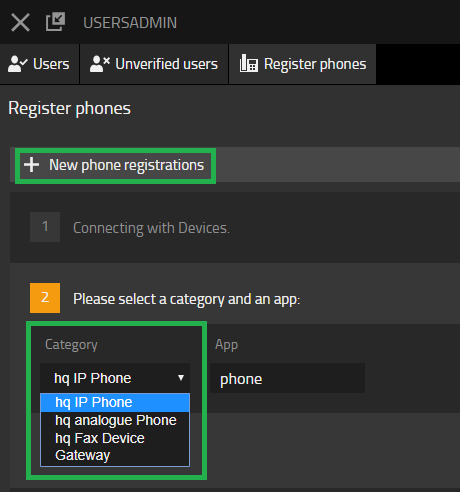 After clicking on the + New phone registrations title, the type of the devices to be rolled out (Category) must be selected. 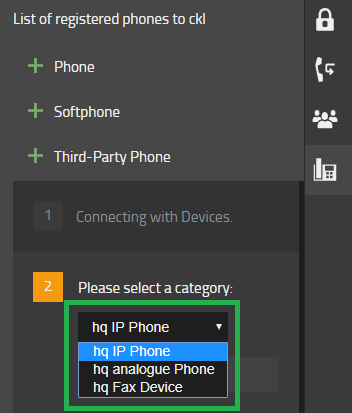 As we now want to roll-out our remaining 3 IP phones, hq IP Phone is the right category . Also, phone is the App to use as before. 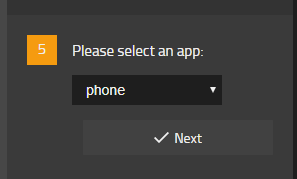 After clicking on Next, the users we want to rollout the phones to must be selected. As we already have provisioned our own phone, lsv, jdu and mro are left. 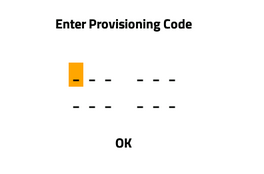 UsersAdmin will then generate a list of provisioning codes , one for each user. You can take note or download it as a CSV file and print it out or E-Mail it to users. Users would then factory reset their phones and type in their respective codes. The administrator can now terminate the dialogue as the remainder of the process may take quite a while (hours or even days). 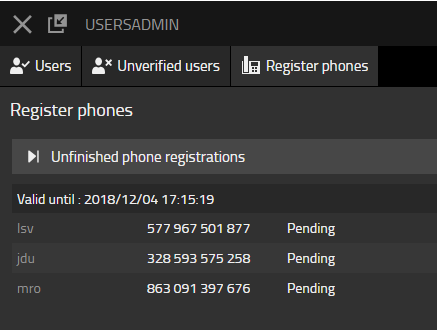 To see the progress, the list of Unfinished phone registrations is available. 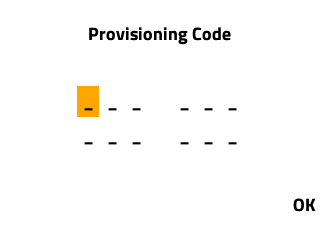 As soon as a user has successfully used his provisioning code, the list will be updated .